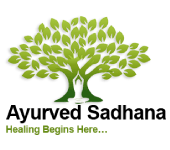 In Madhav Nidan Basics: Categories of Chikista, Students will gain a broad understanding of the different categories of chikista (treatments) as per Ayurveda. The students will gain the broad understanding of the different categories of chikista (treatments) as per Ayurveda. Dates: Classes are over two weekends starting Saturday September 21, 2019, through Sunday September 29, 2019, 11:00 am – 6:00 pm. Online Exam: November 30, 2018.